Leslie’s experiences and aspirations in Social Work have spanned over a twenty-year period where her clinical work has supported individuals, adolescents, couples, and families. She has helped many of her clients in dealing with stress and anxiety, interpersonal difficulty, depression and grief, parenting and behavioural concerns, marriage/couple issues, self esteem, and post-traumatic stress. Leslie offers a therapeutic environment that encourages you to explore yourself and your strengths, and to develop new tools for you to take back and use in your own environment in a pragmatic way. She believes that counselling is about a good fit between the therapist and client. She is a down-to-earth person who is flexible in her therapeutic approach and wants clients to feel understood and comfortable to explore their issues in a safe space. Dr. Yaffa is also an educator in the field of social work where she has spent many years working in community organizations with refugees, immigrants, women, LGBTQ and radicalized youth and adults. She has developed clinical counselling programs, initiated innovative and strategic responses to social programs and plans, prepared needs assessments, and has been actively involved in community outreach/engagement. 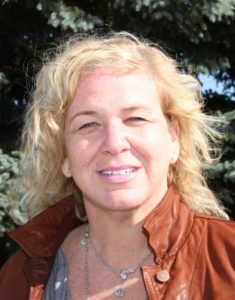 She is also experienced in mentoring, extensive clinical supervision (both with students and colleagues), crisis intervention, short-term supportive counselling, groups, and training/teaching in social services. Leslie is a firm believer in giving back and is particularly passionate about community development. She is the founder of the Jahmeyka Project, a not for profit Community Based Service Learning (CSL) Project, where an educational approach is used to integrate community development, capacity building and clinical services with partners in Jamaica. Through knowledge mobilization and partnerships, we are building a CSL that will be open to all helping professions. In my free time I love to: watch movies, learn about wellness and practice yoga for balance. I am committed to volunteering, community development, and the ideas around social justice and being a better human being.